Everybody expects their colleagues to be constantly connected. Beth Comstock, who runs marketing for one of the world’s biggest corporations—General Electric—says unplugging is vital to managing effectively. By now, it’s common for executives to feel overconnected. If the sun never sets on your business empire, it’s unlikely that your smartphone ever goes dark. Being constantly available projects an image of productivity to colleagues—who doesn’t feel gratified when a late night email is returned within minutes? But, over time, it reduces our communications to their most basic and transactional. As most of us already know intuitively, it also kills our creativity. While shedding our devices is an appealing idea, it’s a practical impossibility for most of us. So, when I’m thinking of a critical project at General Electric, I practice what I call selective disconnection. Over the years, I’ve learned that being disconnected is not the same as being on vacation; it’s another form of productivity. Not only does it improve people’s sense of work-life balance, as Harvard Business School Leslie Perlow showed in her study of smartphone-addicted consultants, Sleeping With Your Smartphone it also helps nurture new ideas. GE pioneered processes such as Six Sigma to institutionalize excellence, but innovation demands that we constantly develop fresh approaches. And that requires space and time to think—sometimes in a group, but oftentimes alone. Or as far away as possible from distracting emails and texts. Sometimes, the best place for that is 38,000 feet over the Pacific or at the local library, with my devices at a safe distance from me, or better yet, unable to get a signal. It took practice to learn how to be productive in these circumscribed blocks but, over time, I developed some rules. The first is to limit the scope of my work. I tend to focus on one or two strategic briefs and organize myself in advance with all of the necessary reading and support documents. I also set a time limit, usually four hours, with a brief respite in the middle. My brain grows weary when I try to push beyond that. Next, I try to work with the tools that make me most productive. When I want to think deeply, I write out my thoughts as long-form narratives or do mind mapping on my computer. Our culture at GE is driven by PowerPoint, which is a language I’ve adopted but isn’t my mother tongue. I find there’s real value in thinking more expansively and moving beyond bullet points. Finally, I have to make time to mentally shut down. This is why I tend to prefer plane travel for this kind of work. When you’re on the ground, you can reconnect in an instant. When I’m in the air, the four-hour window closes and I create distance from the work. I will read fiction or watch a sitcom. I also like to sleep on an issue and then return to it with a renewed focus. An emerging body of research, highlighted in Andrew Smart’s book Autopilot: The Art and Science of Doing Nothing, indicates that occasionally doing nothing at all is essential to creativity. Increasingly, I’ve had to be careful not to ruin my weekend by catching up on email. Now I schedule time daily for email triage and also try to create a couple of hours block of time weekly for more expansive thinking. On the weekends, I love to read, preferably fiction which I think makes me a much happier, creative person. This prescription of selective disconnection, in different forms, has worked for many successful people I know. A colleague of mine has written several books while seven miles high. A trip in May to and from Southeast Asia proved the perfect space for me to map out the narrative of GE’s big market themes, which help regularly renew our strategy. I mentioned earlier that being disconnected isn’t the same as being on vacation. That’s because my vacations have become a refuge from anything from in my everyday life. I go to places where there’s no connection—nothing, nada—and I distance myself from work. Increasingly, I think our creative lives depend on finding the time and space to be disconnected. 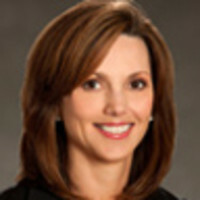 Beth Comstock is chief marketing officer at General Electric.